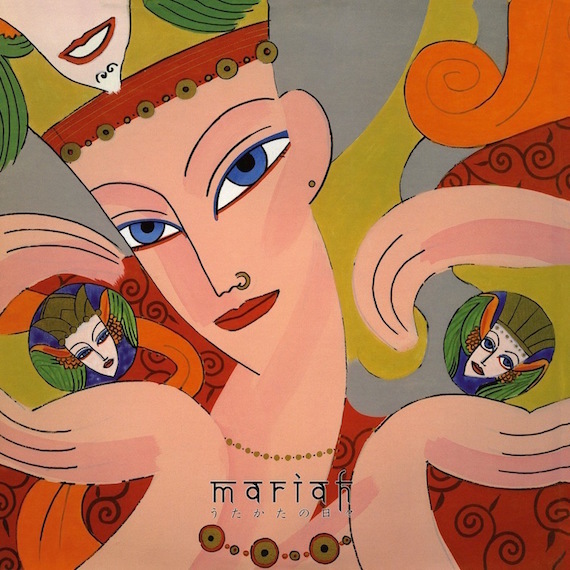 Last year’s Palto Flats reissue of the 1983 lp Mariah — Utakata No Hibi (the final record under that moniker, originally released on the super-cool Better Days label), has spawned a renewed interest in the Japanese composer and bandleader Yasuaki Shimizu — and for good reason. Shimizu, the brains behind the Mariah records, was looking way beyond the horizon, discovering a frontier ahead of its time that married stately and mysterious Eastern grace with futuristic sounds of propulsive, industrial textures, disco/dub rhythms, space jazz and gorgeous, oceanic tones. 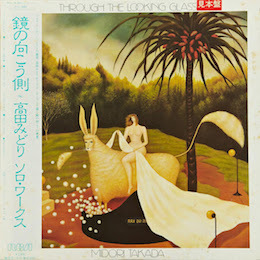 The reissuing label writes, “the entire record is a masterful studio production of Japanese folk and pop idioms filtered through a chamber disco, new wave, synth production.” Amen. “Sokokara” feels second in the cycle of Brian Eno’s Another Green World to the Broadcast catalog. An experimental and synth-laden tenor partners with more avant-garde elements of cold-wave percussion and bubbling electronic waves in a celestial dance to the tune of a more traditional and ceremonial-sounding foundation. Like the shimmering, tranquil “Shisen,” it displays the record’s hypnotic tensions between a dreamy, calm oasis and more menacing undertones. “Hana Ga Saitara” bathes in the latter — with its driving club beat, angular alarming horns, and lost space transmissions — it exudes the sinister and the underground. Complicated by its almost spiritual, choral chanting and oscillating vocal drifts, it dares you to be challenged and, subsequently, rewarded. The tropical, dense percussive patterns radiate a futuristic, aquatic composure, while the jagged edges ooze mystery, romance, intrigue and danger. “Sora Ni Mau Maboroshi” kicks off with ragged, angular guitar lines then buoyed with new wave percussion and vibraphone. With vocals suggesting influences the likes of Talking Heads and Orange Juice, the song evolves into a more meditative and pillowy affair. It makes a song like “Shinzo No Tobira,” with its gauzy shoegaze mist and soothingly melancholy female singer set against martial rhythmic backbone and an arctic, unknown ether, and album closer “Shonen,” with its smoky jazz atmosphere, art rock leanings and tribal conclusion, all the more spellbinding, and speaks volumes of Shimizu’s vast spectrum of musical intelligence, ability, and foresight, and also says much of the strange, exotic, and elusive mastery of this beautifully experimental record. Elsewhere, Listen To This! (formerly Progressive Infinite), recently posted Shimizu’s previous record, 1982’s Kakashi. The album’s eight tracks fall seamlessly together, with opener “Suiren” blending the otherwise disparate sounds of jazz-fusion, electronic ambience, cushy dub, and glistening pop. Splashes of blissed-out new wave and ambient jazz tropics on “Kakashi” lead to dissonant alarm sounds and glacial, dramatic keys on “Kono Yo Ni Yomeri #1,” intruded by “Semitori No Hi,” a meditative and percussive electronic hymn, with deep foghorn brass, sweeping cymbals and calming new age synth, and funky stabs of horns dropping in and out. It’s a truly singular recording, again, ahead of its time, and for too long tucked into a lost corner of the earth. One where field recordings of crickets provide the backdrop to a lone, mournful saxophone, then further augmented by pure industrial improvisation, nautical textures, and uncertain soundscapes. The funereal and mystical “Utukushiki Tennen” features a hauntingly dramatic vocal performance with glitching sonics and procession orchestra, to bring this strange and ostensibly kitchen sink record to conclusion. But what Shimizu creates here is an art rock record of the highest order — one that blazes through genre and categorization with a bold and visionary appetite for creativity and experimentation. Hey there. I’m a long-time follower of this blog. Love the music. I’m trying to download “Mariah :: Shisen”. What format is it in? I’ve downloaded it a few times but it will not open in iTunes. Thoughts?